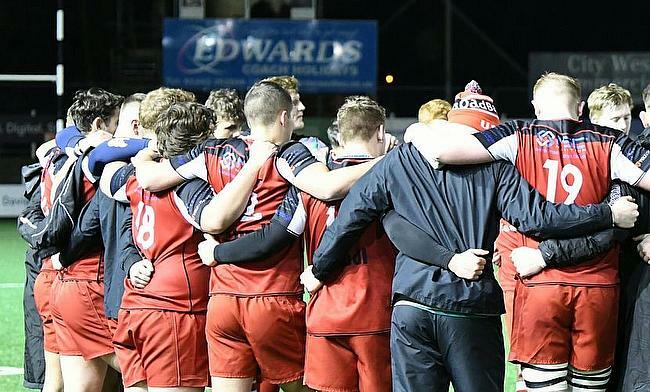 The University of South Wales’ Ben Daniels believes BUCS Rugby’s South A division is challenging, but it can help the development of their rugby programme. USW are currently second in their respective league, but they compete alongside the second teams of Hartpury, Bath, Exeter and Cardiff Met. All four of the aforementioned sides have 1st XVs in the top tier of university rugby - BUCS Super Rugby – and the second teams of Hartpury, Bath and Exeter are battling against USW in the current South A title race. With the strength of BUCS Super Rugby continuing to increase, Daniels admits the teams which USW are coming up against are tough in the second tier, but it is a good test for his side. “Somebody from the outside looking in would look at the league and would say ‘Well, you have Exeter, Bath and Hartpury 2s so that is an easy league to win’, but it is a lot more challenging,” said Daniels, who is Head of Rugby at USW. “What we have found in the last couple of years is that these second teams are becoming stronger with BUCS Super Rugby becoming the animal it is. “Because of recruitment and how good it is, those guys are dropping down into the second tier. We are playing teams with top quality players so when we play these second teams, it’s not quite what you think, but we can learn from it! “We do have the feeling that when we play these second teams, we have to be beating them however challenging it is. The depth they have created is phenomenal due to their links and reputation." USW are one of a cluster of universities in Wales who are starting to develop strong rugby programmes which allow students to balance their studies with high quality sport. Cardiff Met and Cardiff University already ply their trade in BUCS Super Rugby, with the former reaching the Championship final at Twickenham in the 2017/18 season. Along with USW, Swansea University are also in South A and Daniels insists university rugby in the principality is strong and feels his institution is heading in the right direction. He added: “I think it [South Wales] is a bit of hotbed for rugby. Club rugby is continuing to be successful when you look at the likes of Pontypridd, Merthyr and Cardiff who are all strong in the Welsh Premiership. “From a university point of view, you have got Cardiff Met and Cardiff Uni who are in the BUCS Super Rugby, but for us, we are two years into our rugby cycle in terms of trying to turn our university into a high-performance rugby programme. For USW, the long-term goal is to join Cardiff Met and Cardiff University in BUCS Super Rugby, but their immediate aim is to continue being competitive in South A.
Daniels’ side take on Hartpury 2nds this week, who have won all six of their domestic games this term as USW prepare for a tough few weeks with fixtures against Bath 2nds, Cardiff Met 2nds and Exeter 2nds to come. “This season, we have had some good wins but we have also lost two games away from home against Cardiff Met 2nds and Swansea which was unfortunate,” added Daniels. “It is about growing our programme and giving university students an opportunity to pursue a degree and to pursue their rugby as well. It is going to take time, but we are going in the right direction. “Of course, we want to be a part of that elite end of university rugby. This year, we do want to be pushing towards the top two, but each game is difficult and we have got to take one game at a time.